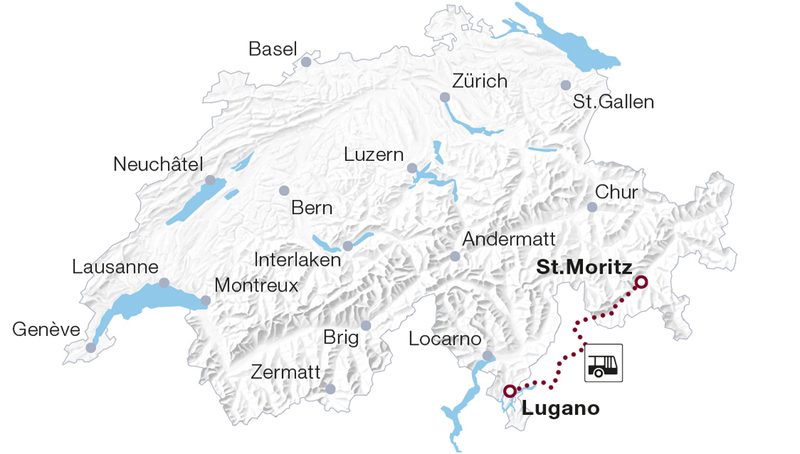 The Palm Express is a Post bus route connecting St. Moritz with Lugano. It is the quickest way to get from the Engadin to Southern Switzerland from June until October. The journey over the Maloja Pass and along Lake Como and Lake Lugano 4 hours and is very scenic. You don't want to miss out on one of the best but tours in Switzerland! The Swiss Post bus can trace its heritage back to the stage coaches when horse-drawn carriages circulated over the mountain passes. Nowadays it is a smooth ride with air-suspended buses and but still on curvy roads and mountain passes. A few times it gets narrow and that is when the Palm Express bus tour in Switzerland sounds their traditional post horns. After leaving St. Moritz you will ride along the lakes of St. Moritz, Silvaplana and Sils. Then you will descend via the Maloja Pass and as many as twelve hairpin turns into the Bregaglia Valley towards Chiavenna and crosses into Italy. Along Lake Mezzola you will reach Lake Como, an Italian town with palm and cypress trees and grand old villas. Now you pass Menaggio and eventually Lake Lugano as you are headed to Lugano. 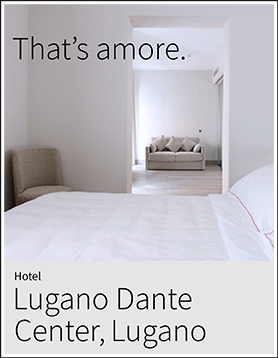 Lugano is the most important city in Southern Switzerland and part of the Italian-speaking canton of Ticino. The meandering Lake of Lugano and uncountable hills and mountains are surrounding this attractive city. Known for centuries for an exceptionally mild climate, its wonderful views, and its colorful vegetation, Lugano also features an interesting Old Town and along lake promenade. The typical Mediterranean atmosphere, Italian culture, and creativity skillfully combined with Swiss organization will make a nice visit. Experience some of the most beautiful areas of the country aboard this incredible bus tour in Switzerland. Contact us today for more information on booking!